From the 20th of February until the 15th of March 2015 Alejandro Ospina will be setting up a temporary studio in 31 Chester Street and displaying his most recent painting series: Algorithms. 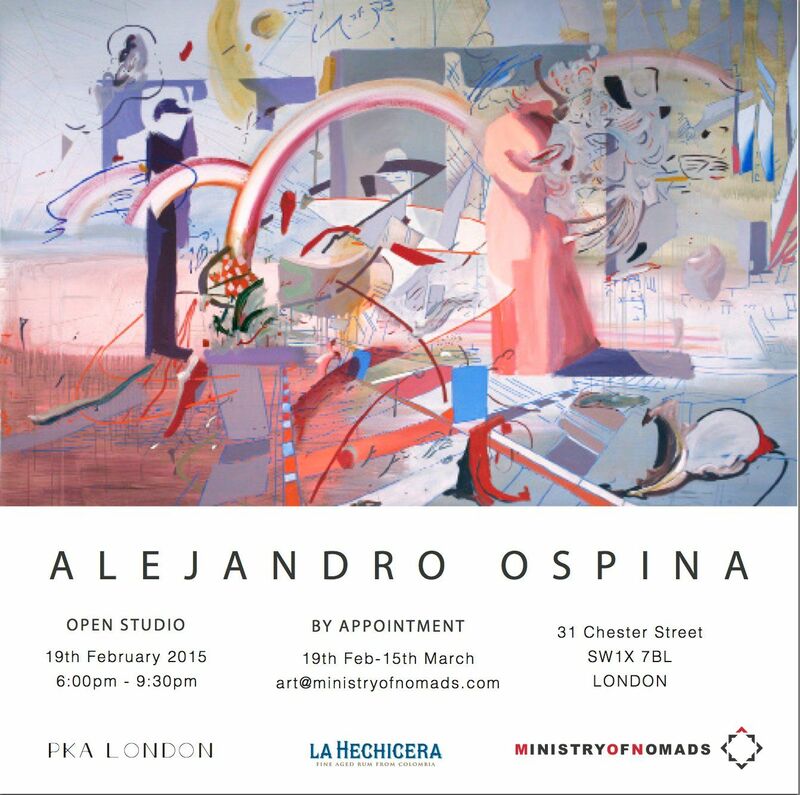 In Algorithms, Alejandro Ospina opens up and tackles the vertiginous dimensions of the digital world. The chaotic phenomenon of high-speed information; personal images from social media, current events, environmental disasters, and fragments of other artists collapse into apocalyptic and vibrantly colored abstract landscapes. The artist dissects the ever-futuristic prophecy of how the Internet transforms our relationship to images, to space, and to each other in unparalleled ways, leaving us with the mystified impression of accessing territories that become instead increasingly synthetic. Ospina anchors an infinite source of fleeting impressions, allowing us distance to reflect on the human condition.